I’m familiar with Norma Jean’s writing, having read Flower in the Hills earlier. So I definitely was expecting to enjoy Lingering Dreams and I’m glad I did. Kirsten glanced over at her mother who gently lifted two fingers, telling Kirsten there’d only been two calls. There’s a light feel to the whole book, but that doesn’t mean there wasn’t conflict. There was definitely conflict that I enjoyed reading about. The only real issue I had was that so many good things happened throughout the book that I was always waiting for some massive conflict, but there wasn’t. It was kinda like when you’re watching a show and everything is going super well for the main character, and they’re singing and dancing, and just loving life. Even peeing is an extraordinary wondrous event, and you just know something bad is going to happen, but nothing ever did. But honestly, that was okay. I liked the ending and I really appreciated that it wasn’t one of those, “And he SWOOPED her up in his arms and they KISSED passionately and got MARRIED immediately” scenes. It was an ending that was wrapped up nicely. While I didn’t enjoy Lingering Dreams as much as I enjoyed Flower in the Hills, I’m still giving it a 4/5 star rating. It’s an enjoyable book with great characters. There’s no cheesy love story, but instead a fairly realistic one that includes genuine worry, questioning, and decision making. 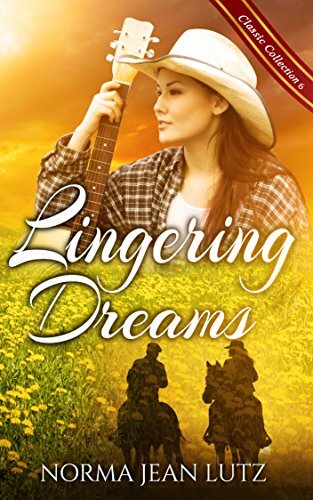 Would I Recommend Lingering Dreams? Yeah, I would.